Several months ago I joined the foodie pen pals. It is an interesting program where you are assigned a new pal each month and you send them $15 worth of food and in return you also receive a package (from a different pal). It is fun. Check it out at http://www.theleangreenbean.com/foodie-penpals/. This was a very thoughtful package and thanks again to Jami. Check out the Foodie Pen Pal program at http://www.theleangreenbean.com/foodie-penpals/. ← Do I Cook with a lot of Cauliflower, or What?!?! 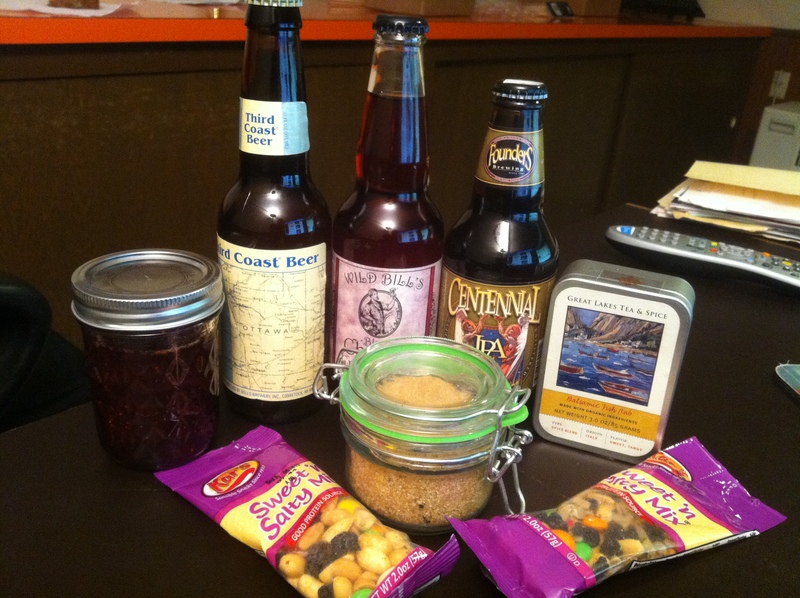 Those strawberry preserves and the trail mix look good. It is getting harder and harder to find trail mix where I live. And I love the picture on the front of the fish rub. What a great idea. Sounds like fun. That sounds like a Great idea…..